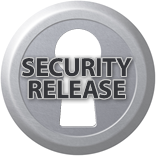 This is a security release addressing three security issues. The Production Leadership Team's goal is to continue to provide regular, frequent updates to the Joomla community. Learn more about Joomla! development at the Developer Site. The Joomla Project is pleased to announce the immediate availability of Joomla 2.5.15. This is a security release addressing three security issues. The Production Leadership Team's goal is to continue to provide regular, frequent updates to the Joomla community. Learn more about Joomla! development at the Developer Site.